AustAsia Group's Simon Chesson Wins 2016 Best Finance Broker Award. 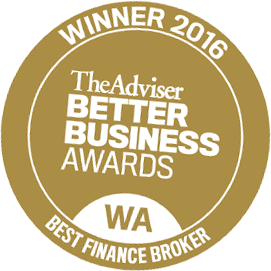 AustAsia Group attended the Better Business Awards, hosted by 'The Adviser' on 17 March 2016. We are delighted to advise that AustAsia Group’s Simon Chesson claimed the Best Finance Broker Award in Western Australia for 2016. This award recognises the broker who created the most holistic client offering that services the clients wider financial needs. There were 5 finalists. "We are proud of the achievement of our staff, as this is a team effort. We are also extremely grateful to our clients who allow us to help them and be able to provide solutions every day. We also thank our lender panel partners who assist us to provide financial solutions to our clients." The award acknowledges the hardwork that our AustAsia team has put in over the last 12 months and the fantastic results we have been able to achieve for our clients.